This striped sweater is kinda genius. The stripes are broken up with blocks of navy blue to give the horizontal lines a flattering shape. 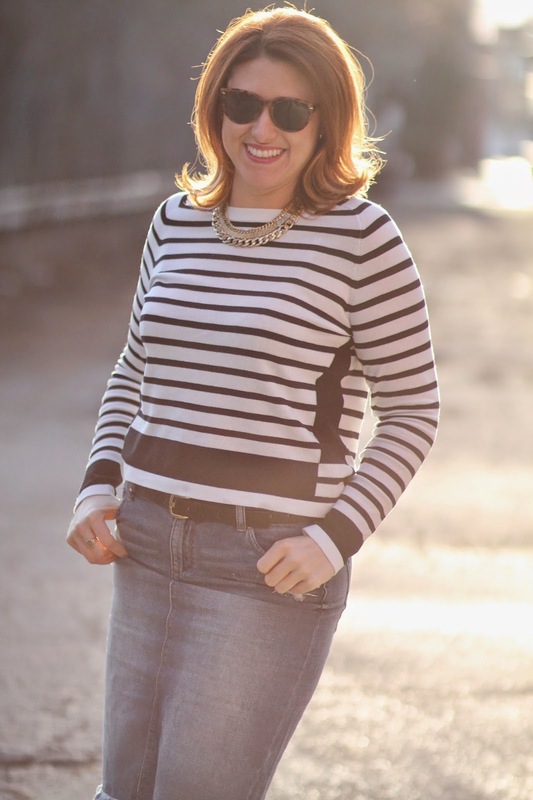 I'm not sure if it's supposed to be a crop top on shorter ladies, but it fits like one on me, which went perfectly with this distressed denim pencil skirt from my favorite summer time shop, Joe Fresh. Basically, it's the perfect casual Friday outfit. Happy Friday all! Have a lovely weekend.